Lamar Kerry, Jr., is an unlikely hero. At twenty-seven years old he can't dance unless he's had more than a few drinks. His wardrobe is uninspired, at best. He has returned after college to Little Falls, his miserable, working-class hometown in upstate New York, deflating everyone's expectations of him in so doing. He's over-educated, overconfident, fundamentally bright, but mostly going nowhere. When the town's only Latino, Lamar's former high school classmate, goes missing and is feared dead, Lamar--done with being a disappointment to his father and his girlfriend--decides to break out of the ordinary by solving the case, the roots of which may be in the town's racist undercurrent. Will the ordinary white boy achieve the extraordinary in Little Falls? 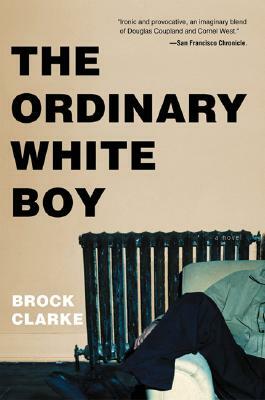 In a voice both tender and biting, Brock Clarke mingles subtle social criticism with laugh-out-loud funny observations, crafting in Lamar a character both unforgettable and universal, a character that will live long and proud in American literature.